I took the books with "potential" up to my apartment, and spent some hours here or there over the last few weeks putting them up on eBay. 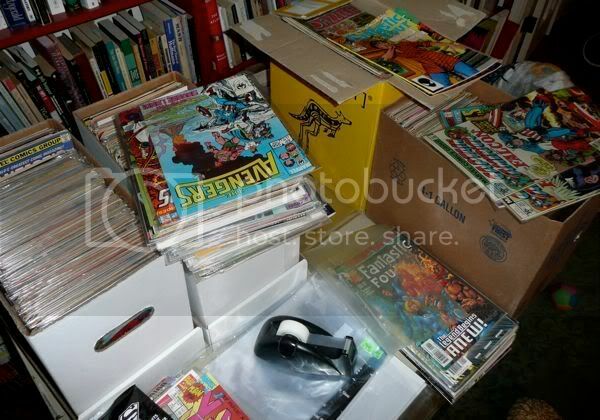 I also invested in some comics boxes and bags and boards. When all was said and done, I netted Victor over $300 (the Punisher Spider-Man alone sold for over $100!). Victor was thrilled when I brought him the cash the other day, and I've been getting to enjoy reading old comics, and filling some gaps in my old collection (mostly Byrne and George Pérez books). And I still have a bunch of books left to sell, when I get around to it. Who says dreams don't come true?